"Have you ever been in a small plane before? Do you have a fear of flying?" asked Jim, when we were discussing his upcoming engagement session with Lisa. "I have been in a small airplane before. I'm not afraid of flying. But I am afraid of crashing," I laughed in response to his questions. Jim is a commercial airline pilot, and he's not interested in crashing, either. Which made me comfortable with what we were about to do. 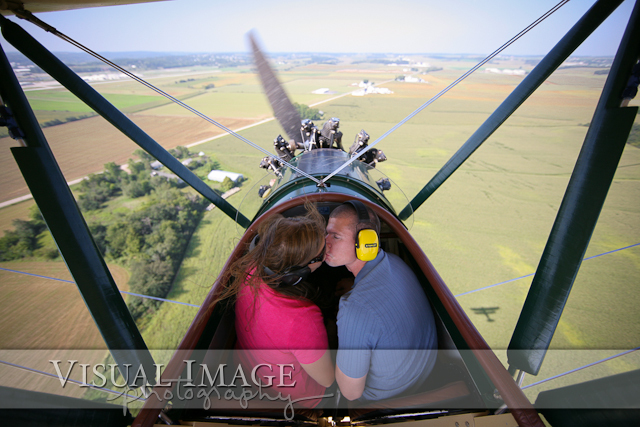 The plan for this engagement session was so cool! I met Jim and Lisa on a beautiful day back in August at the Kenosha Regional Airport, where we boarded Jim's small plane. The three of us flew out to Morey Field, on the west side of Madison, in Middleton. 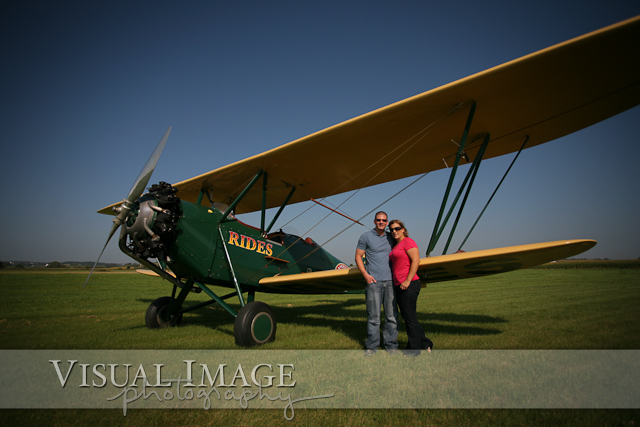 Once we landed at Morey Field, we took a couple of pictures, before the wind destroyed Lisa's hair. 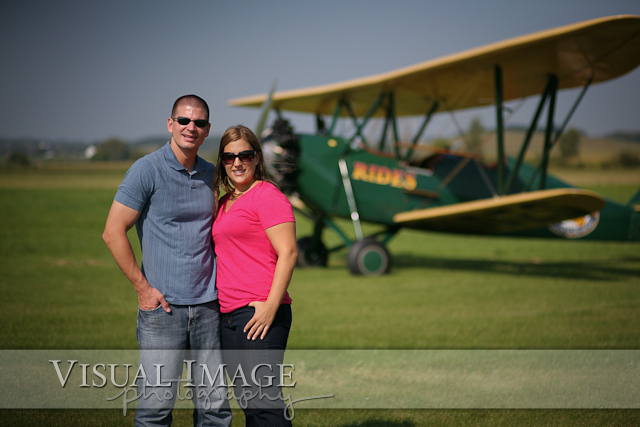 Then the three of us went out on the airstrip and met up with Bernie Harrigan for the second part of the engagement session, a flight in a biplane. 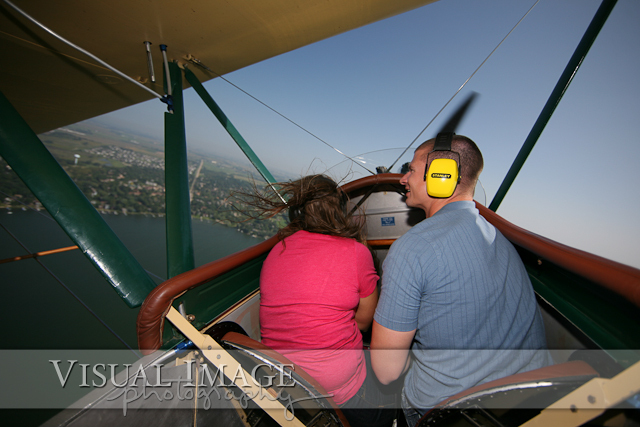 If you want to go on a ride of your own, you can get more information at www.planerides.net. Because the plane is an open air cockpit, it's loud and windy. Kind of like being on a Harley, but at an elevation of 1,000 feet. If you aren't scared of flying, this is one experience that is totally worth it!